Can I automatically import the matches from a CAT tool analysis file into LSP.expert? 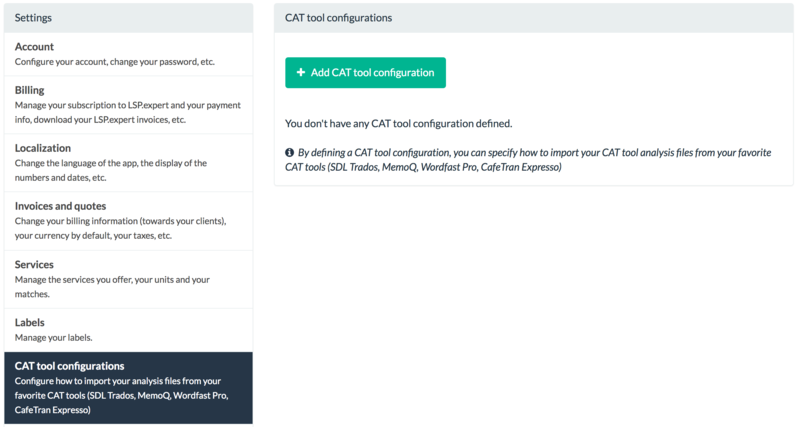 Yes, LSP.expert allows you to import matches from CAT tool analysis files (SDL Trados, Wordfast Pro, MemoQ, CafeTran Espresso, and others). 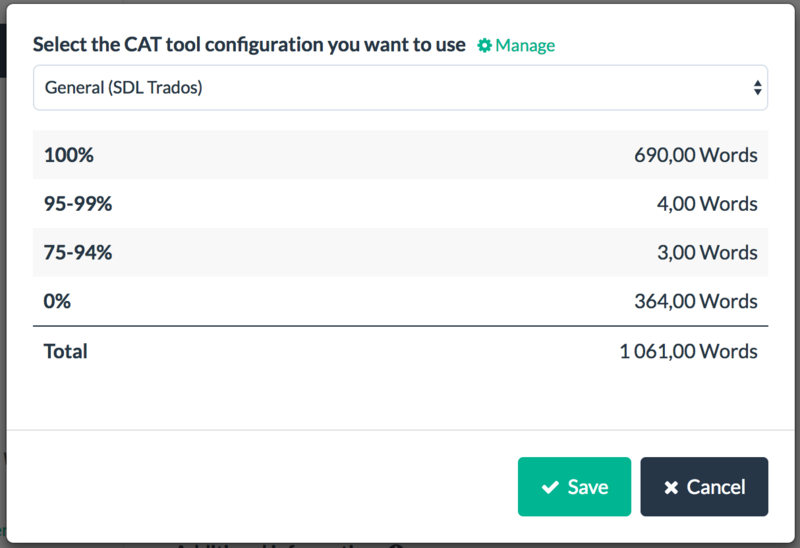 First of all, you have to create a new CAT tool configuration, to define how you want to import the matches from your analysis files. For that, you have to go in Settings > CAT tool configurations. When you’re there, click on Add CAT tool configuration. 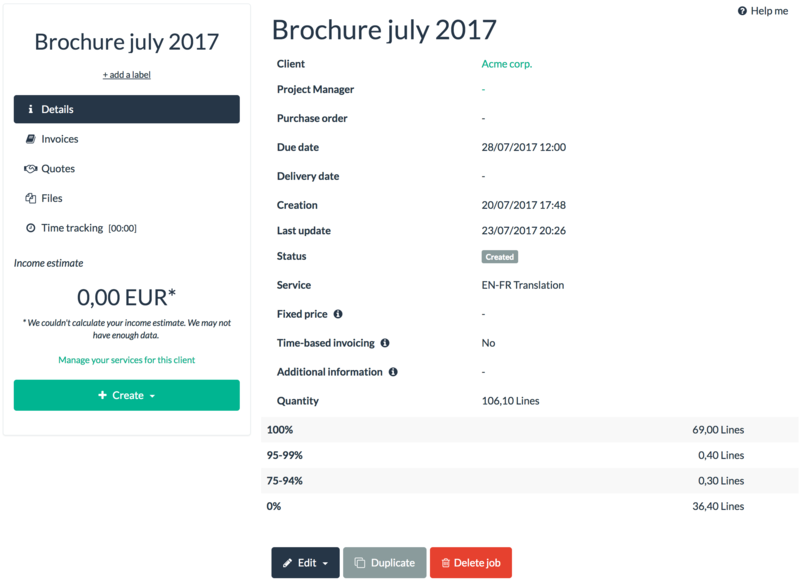 Then, you have to give a name to this configuration, define which CAT tool and units you’re using and specify the conversion factor. 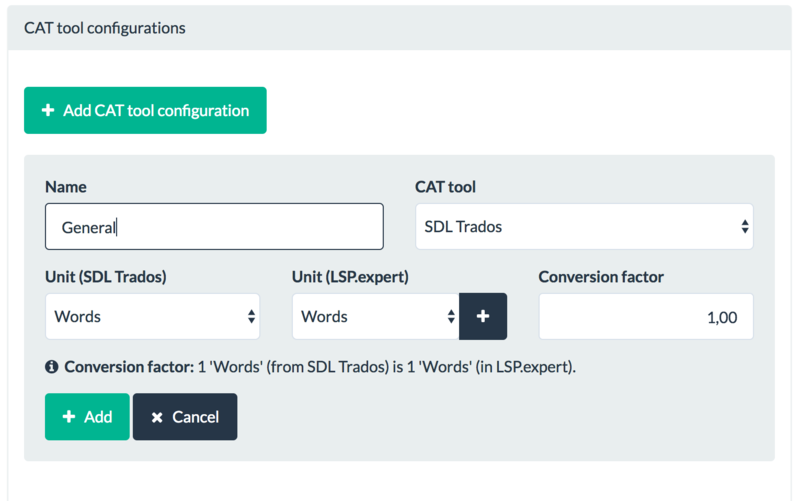 If the CAT tool analysis contains a number of “Words” and you’re using the same unit in LSP.expert, the conversion factor has to be “1” (that means that 1 word in the CAT tool analysis equals 1 word in LSP.expert). 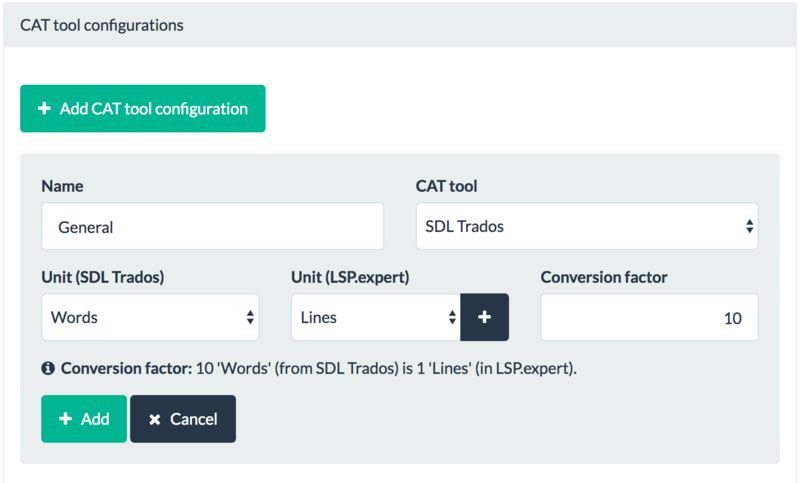 If the CAT tool analysis mentions a number of “Words” and you’re not using the same unit in LSP.expert (let’s say you chose to work with “Lines”), you have to decide how many words in the analysis file will be equal to a line in LSP.expert. 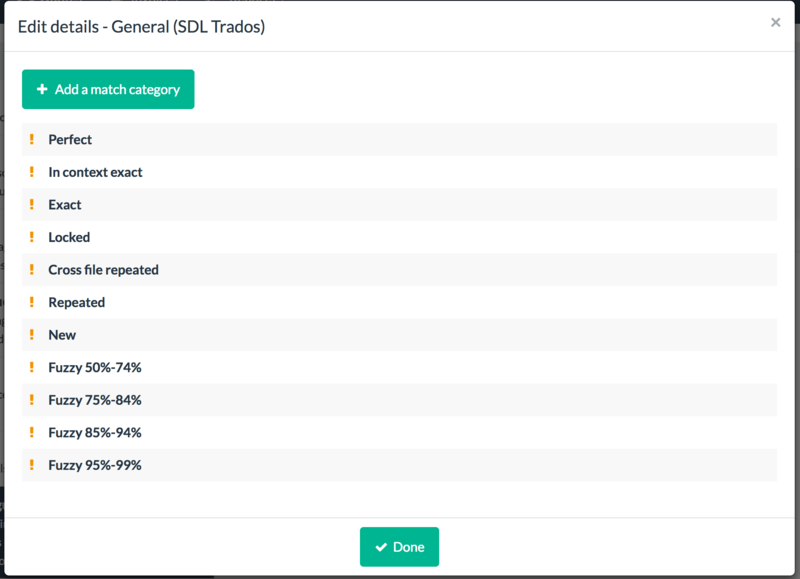 In this case, you can define for example that 10 words in the analysis file equal 1 line in LSP.expert. Click on Add. 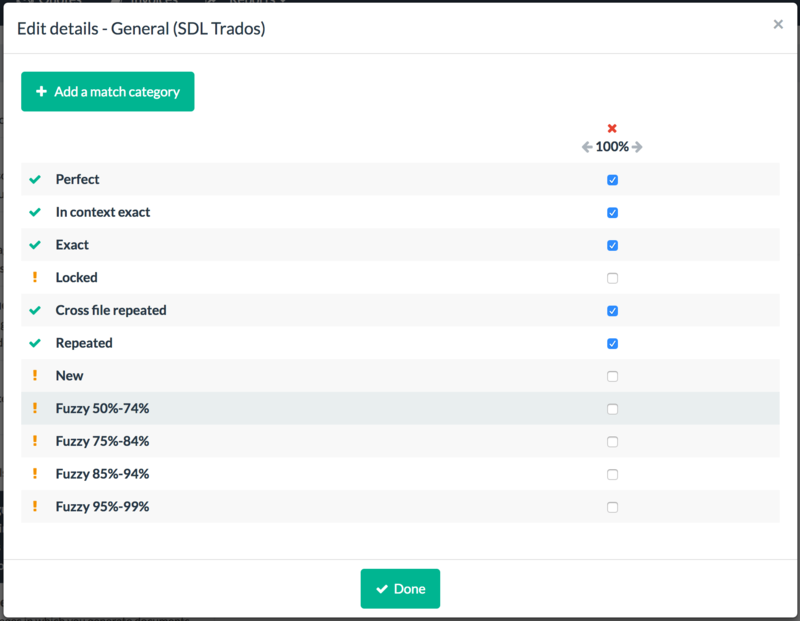 You will then arrive on the screen where you can edit the details of your CAT tool configuration, that is to say where you will group the match categories in the analysis file into the match categories you defined in LSP.expert. 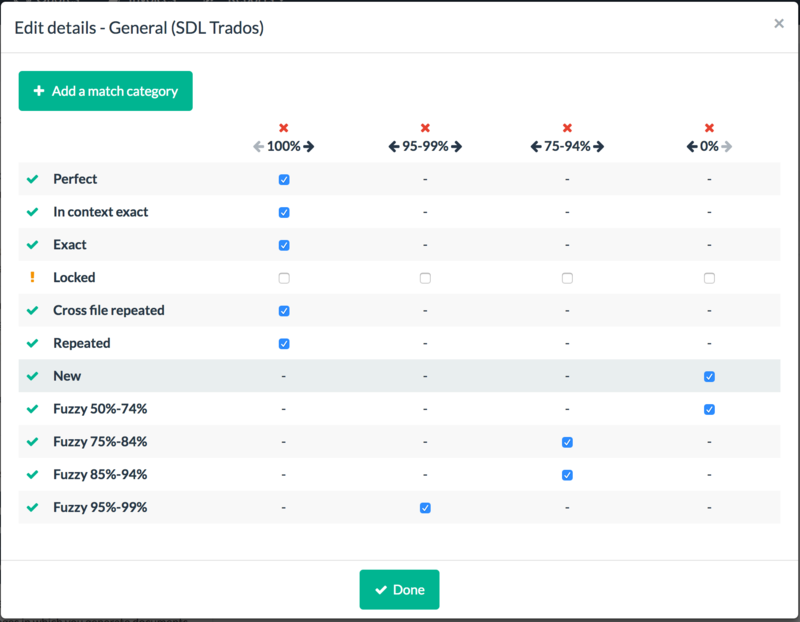 First, you have to select an LSP.expert match category in the dropdown menu after clicking on Add a match category, and then you have to check the categories of the analysis file that enter into this LSP.expert match category. You do the same for the other categories, and you click on Done. Your CAT tool configuration is created. Now, to use it in a job, you have to click on Edit > Matches (from a CAT tool analysis) once you’re in the job. You select the file on your computer and the CAT tool configuration you want to use (the one you just created or another one). 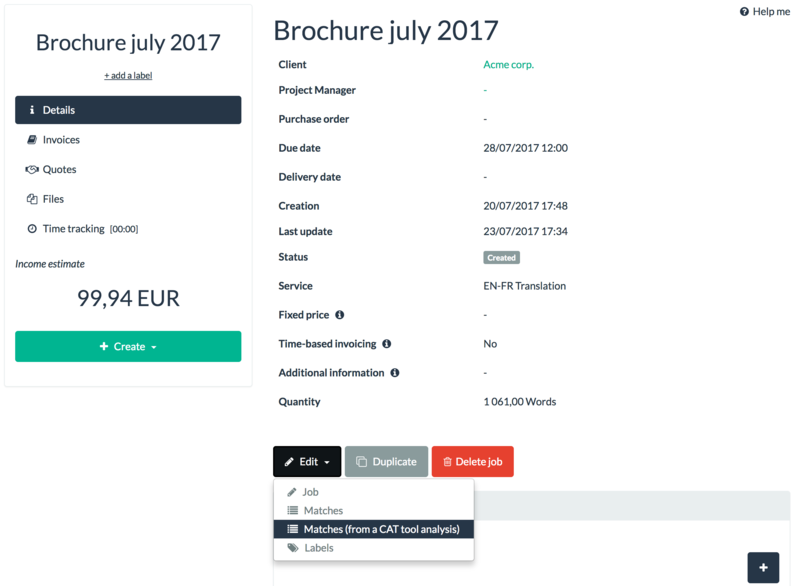 The system automatically shows the matches in the job, grouped according to the criteria you defined in your configuration.